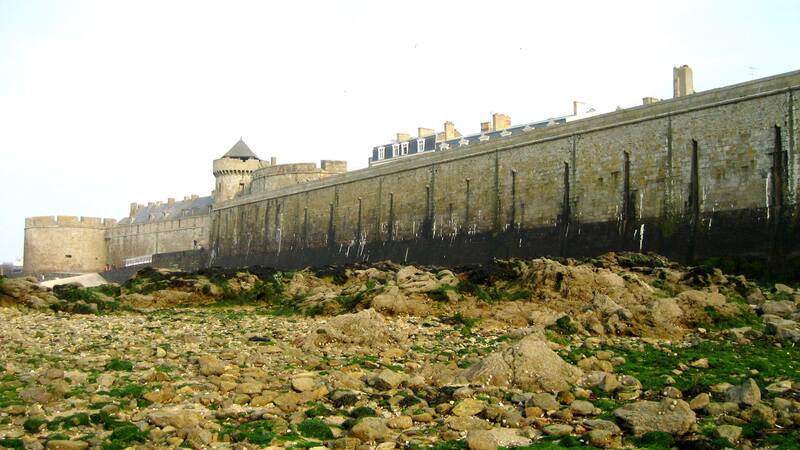 In honor of the fact that I’ve just started reading this book (and so far, it’s amazing), today I’m going to talk about one of my favorite little places on earth: Saint-Malo. 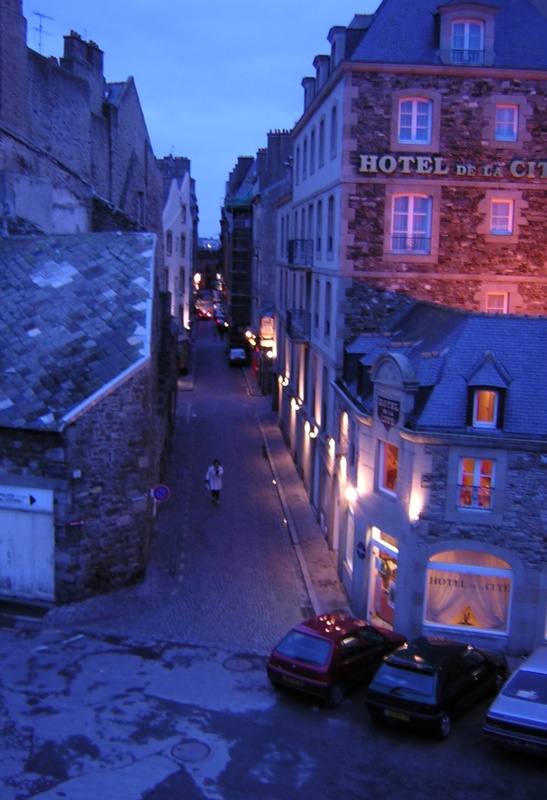 Saint-Malo is a walled port city in Bretagne, or Brittany, France. You should go there. Why? 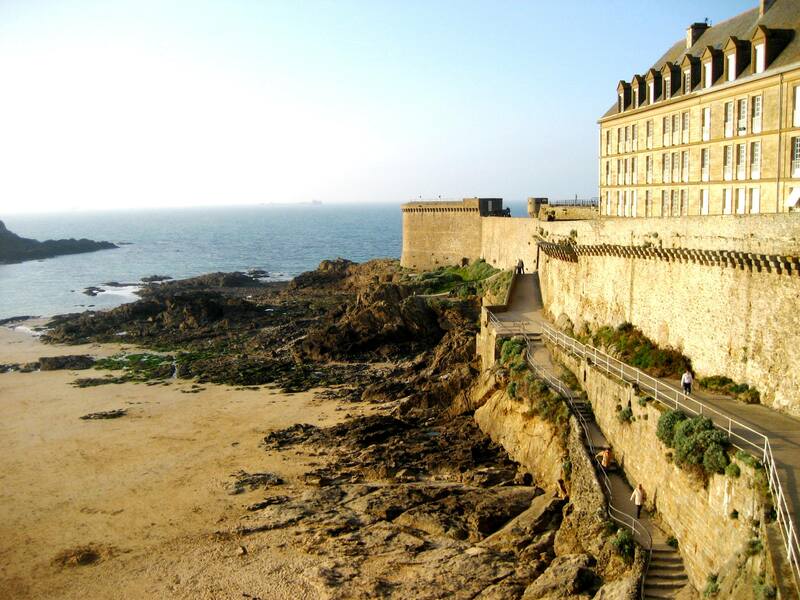 You can get there easily by train from Paris. 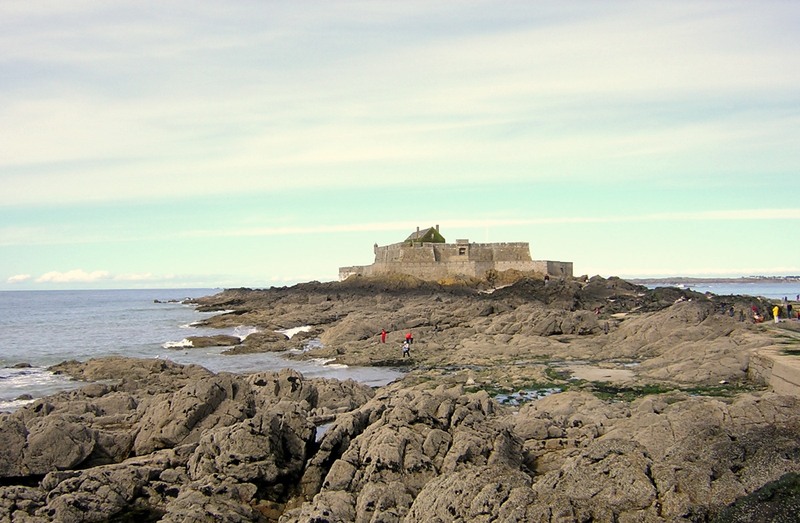 It’s a great place to stay while exploring the area around it–you can hop a bus to the famous Mont-Saint-Michel, a ferry to the less famous but still amazing Channel Islands, which include Jersey (the namesake of my home state!) and Guernsey (the setting of this beautiful book). 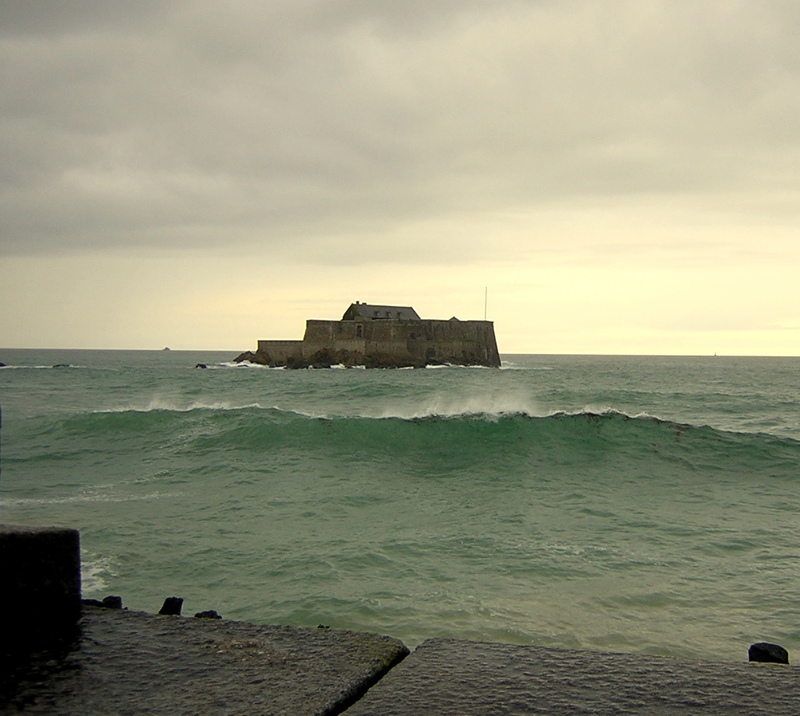 Also, Saint-Malo is just a beautiful, amazing place, all by itself. When I first visited I didn’t even know this city had sustained damage in World War II–that’s how well it’s been restored. You feel like you’re walking through the fifteenth century. 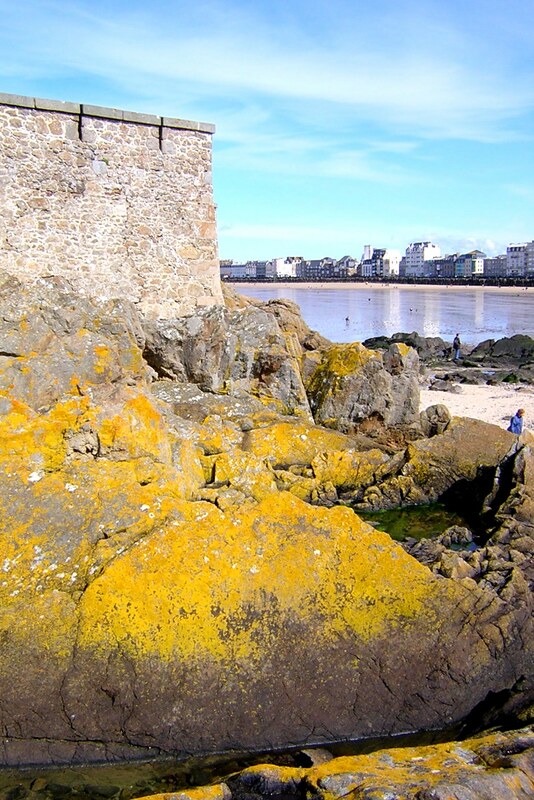 … and the town inside the walls is adorable, with narrow little cobblestoned streets, boutique hotels, and amazing seafood… But pay attention to the tides: Because for part of the day, the beach looks like this: … and then later that same day, it looks like this: I’m really enjoying learning more about Saint-Malo in my book. I know I’m going to be devastated when the Allied bombers arrive, though since I spent a year living in a town where the destruction was even worse, I guess I should be used to it when visiting this region of France, whether through the pages of a book or in person. Looks like a pretty place! I’ve been hearing a lot of good things about that book, so I’ll definitely have to check it out. What teaching program are you doing? I also taught in France! Have you heard of TAPIF? Yes! That’s the program I did. They may have changed it in the 8 years since I was there, but I only worked 12 hours per week, plus the schools have lots of holidays–10 days at Touissant, 2 weeks each at Christmas, February break, and Easter. Which leaves a massive amount of time for travel. And Normandy is really easy to get around by train–make sure to buy a carte 12-25 to get your youth discount!